Top Places To Visit In Britain . When you think of Britain, you instantly think of royalty, literature, verdant valleys and of course hip cities. Britain is a traveler’s delight due to the multitude of options available to satisfy varied interests. While there are many tourist attractions, we have tried to present them in a concise manner to help you make informed choices when it comes to making your list of the top places you must visit in Britain. We have tried to break it into categories covering most of the best places which capture the soul of this great country. Britain is a country known for its royal lineage having one of the oldest monarchies in the world today. 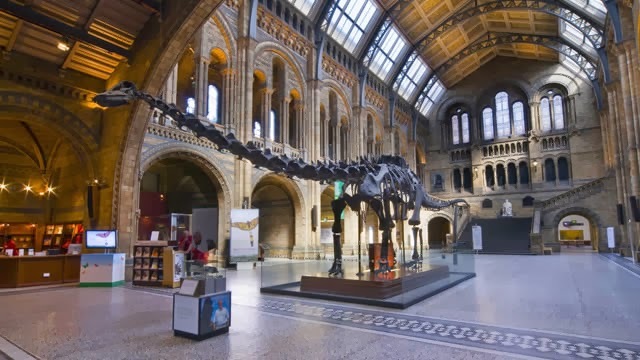 Steeped in history, legends and tales you must visit the following places to get a feel of British heritage. Buckingham Palace: This place instantly makes you think of British royalty. This is the official residence of the Queen of England. One must watch the Changing the Guard ceremony. Windsor Castle-Windsor Castle is one of the largest castles in the world. Westminster Abbey-A monument that has been a witness to over 1000 years of history, it is the place where all Coronations have taken place since 1066. It has also seen 16 royal weddings. Edinburgh Castle-Its located on top of an extinct volcano at the top of Edinburgh’s Royal Mile and is now home to the Scottish Crown Jewels and the National War Museum of Scotland. Tower of London-An iconic structure, it is one of the world’s most famous fortresses, it has been many things. From a zoo to a palace and even a prison. It’s a World Heritage site with the Crown jewels on display. St Paul’s Cathedral - One of the most recognizable buildings of London, this place has history written all over it. It has survived two fires wherein it almost burned down, to be the beautiful piece of architectural perfection which it is today. Canterbury Cathedral - Was made famous in Chaucer’s Canterbury Tales and the stained glass windows are beautiful to behold. Durham Cathedral -Two Harry Potter movies were was shot here and it’s a UNESCO World Heritage Site. Britain has produced some of the most famous and successful poets, writers and playwrights who are revered all over the globe for their seminal work. The following will let you experience a bit of their magic in today’s times. Seeking Shakespeare -One of the most famous literary personalities emerging from Britain, William Shakespeare, a playwright par excellence was born in Avon. You can visit his birthplace, view some of his plays and go on a curated Strafford Upon Avon tour to go back in time and see his life up close and personal. Finding Charles Dickens - The Charles Dickens Museum is the London home of the renowned writer. It houses some of his personal effects. It was here that he wrote the poignant Oliver Twist. Join Jane Austen -She is one of the most famous women writers in the world whose books have been translated and made into movies. Experience the lifestyle she wrote about in Bath. Want William Wordsworth - One of the most famous nature poets, Wordsworth has an unforgettable legacy. The Wordsworth museum displays his things and organizes poetry reading events. Britain boasts of many world-class cities that make for great shopping, leisure and luxury destinations. Well-equipped they are hip and trendy, filled with historical significance. London -One of the most talked about and visited destination, this city has it all. From royal residence, to historical places to iconic shopping places like Harrods, Oxford Street to the famous double- Decker buses and of course the iconic Trafalgar Square-it has it all. It’s looked upon as one the top ten cities in the world and home to many ethnic communities giving it a diverse food culture. Manchester- Home to the one of the most prestigious football leagues ever-the Manchester United, this city is one of the most hip ones. It is known to have great pubs, cultural events, sports activities and a cool lifestyle. Liverpool -Home to the iconic Beatles, this city has created buzz amongst today’s generation. You will find that its restaurants, bars and theatres rival London’s culture scene. Glasgow-Scottish city famous for its art, design and culture. Edinburgh -The Scottish capital, it is famous for its history, arts and culture. Classic university town - Classic university town ,this city is synonymous with excellence. It has a vibrant arts and culture activities taking place. Bath -It’s a World Heritage Site. Built by the Romans, it is a Georgian spa city. Go back in time instantly. Stonehenge- An interesting structure, this ancient Wonder of the World draws many people from across the globe. Stonehenge has been the subject of speculation and fascination since at least the early medieval period. While the above destinations are not an exhaustive list, they are the some of the most significant places to visit in Britain. Brenda Wiggs has been working as a real estate blogger for a long time now and does online reputation management for Casamundo UK. With her knack for real estate deals and content creation abilities, she manages to come under one of the most influential people in her niche.